The Policing Board has confirmed the final make-up of Antrim and Newtownabbey Policing and Community Safety Partnership (PCSP). The nine new independent members come from a range of backgrounds, ages and jobs. They have been confirmed as Kenneth Wilkinson from Antrim, Eamonn McGuckin from Crumlin, Valerie Adams from Antrim, Brian Mullan from Glengormley, Andrew McNeice from Crumlin, Joseph McCrisken from Jordanstown and Charlene Anderson, Kathy Wolff and Adree Wallace who are all from Newtownabbey. There are also 10 political members on the Antrim and Newtownabbey Policing and Community Safety Partnership. They are Councillors Audrey Ball, Linda Clarke, Mandy Girvan and Stephen Ross of the DUP, Paul Michael, Drew Ritchie and Jim Bingham of the UUP, SDLP Councillor Noreen McClelland, John Blair of the Alliance Party and Michael Goodman of Sinn Fein. Policing Board Chair Anne Connolly welcomed the new members to the PCSP. “The new members bring a wide range of skills and experience to this important element of policing accountability and community safety. All those appointed have demonstrated the ability to engage effectively and have shown a commitment to ensuring that the voice of their community is heard,” Anne said. “The new look councils and streamlined structure for PCSPs bring fresh challenges and opportunities for the partnerships. Members will work together with elected colleagues, the community and representatives of the statutory and voluntary sector to provide oversight of police locally and deliver initiatives to help improve community safety. I look forward to working with the partnerships and their members in the time ahead,” she added. Justice Minister David Ford believes that the PCSP members will be able to represent the views of the communities that they are from. “With a make-up of political, independent and designated membership, PCSPs are representative of the local areas they serve. 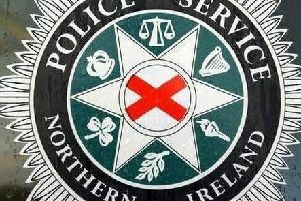 The Northern Ireland Policing Board has worked to deliver an open and transparent process resulting in the appointment of people with various skills and experience, community background, gender and age,” he said. The first meeting of the Antrim and Newtownabbey PCSP will take place on Tuesday, September 22.